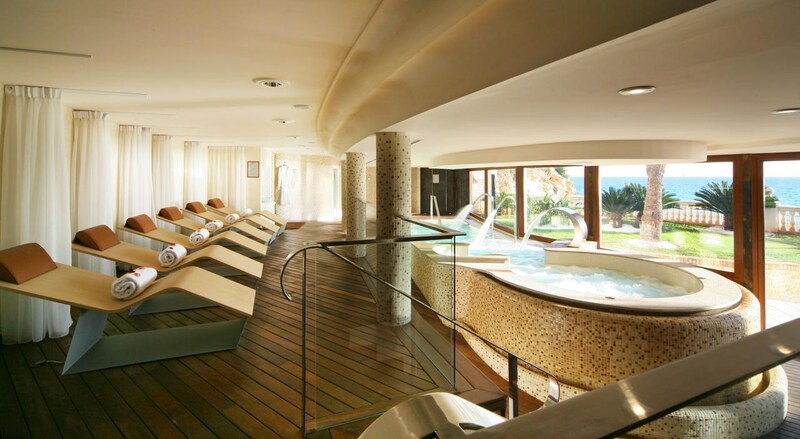 The luxury Nixe Palace is situated next to Cala Major Beach and the Marivent Palace. It offers an outdoor pool, a free spa and air-conditioned rooms with free WiFi access. This property is 1 minute walk from the beach. The Nixe’s specialised golf department offers trips to local courses and discounted green fees. Nearby golf courses include Son Vida and Son Muntaner. 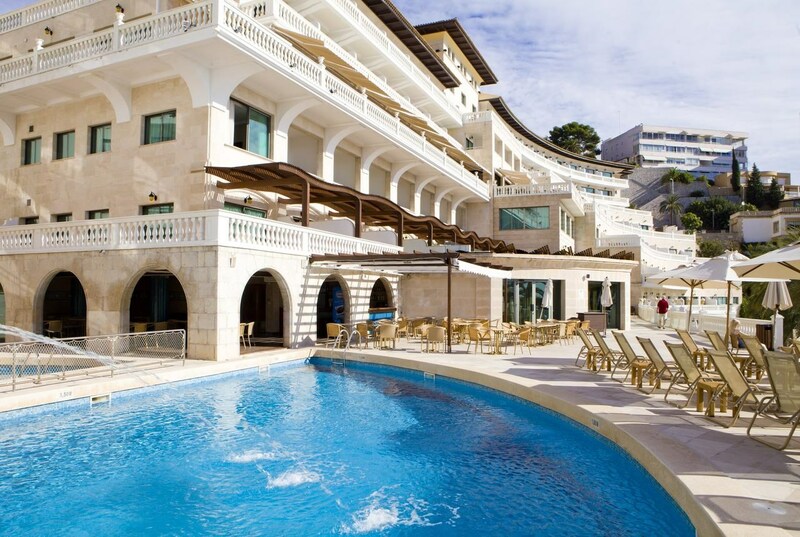 The hotel's spa offers a thermal circuit, Turkish steam bath, ice fountain, heated loungers and fantastic sea views. There is also a gym, and massage treatments are available. Hotel Nixe Palace makes an excellent base for enjoying the cultural, commercial, sport and maritime atmosphere of the city. Whether guests are on a relaxing holiday, practicing sport or travelling on business, Hotel Nixe Palace offers all comforts and facilities. 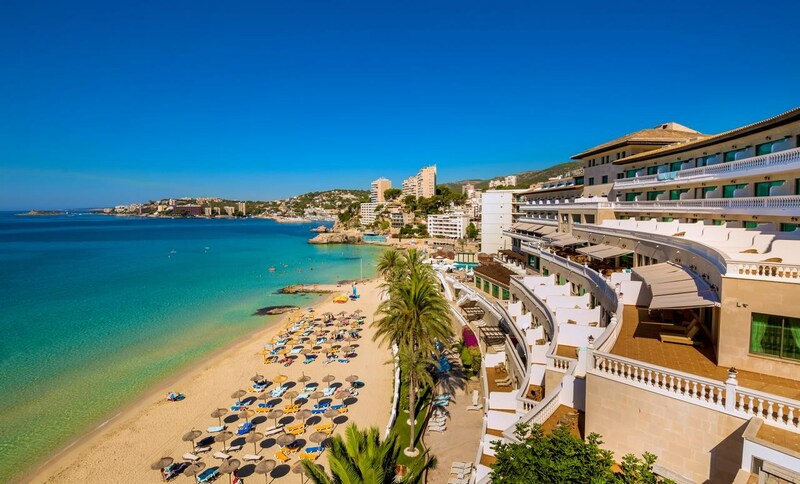 The hotel is situated on the beachfront and only a few minutes from Palma. Palma Mallorca Airport is roughly 20Km from the complex. Besides its breathtaking view, guests can enjoy its rooms equipped with the latest technology: individual air-conditioning, interactive flat TV with parabolic aerial and remote control, video channel with pay per view films, safe-deposit box, mini-bar, direct-dial telephone, modem connection, Wi-Fi, and 24-hour room service. 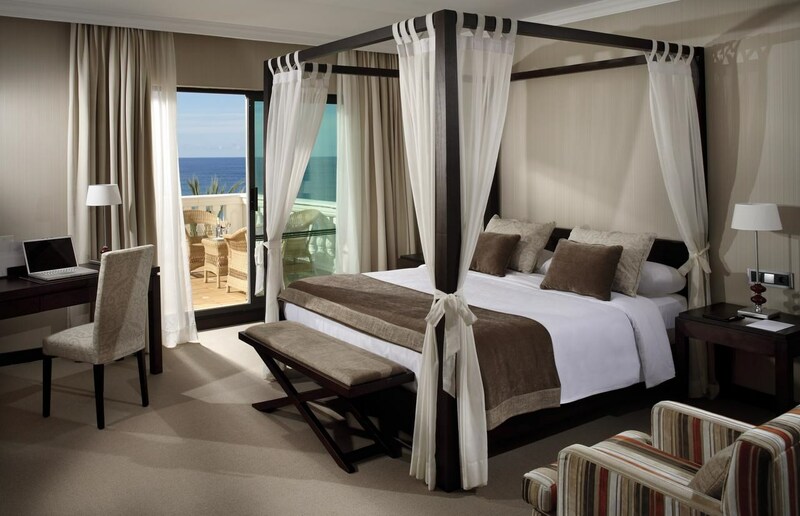 In the bathroom guests will find hairdryer, amenities, telephone extension, bathrobes, slippers and beach towels. Guests can try the select and delicious local and International cuisine in the a-la-carte restaurant, and in the pool bar next to the swimming pool. 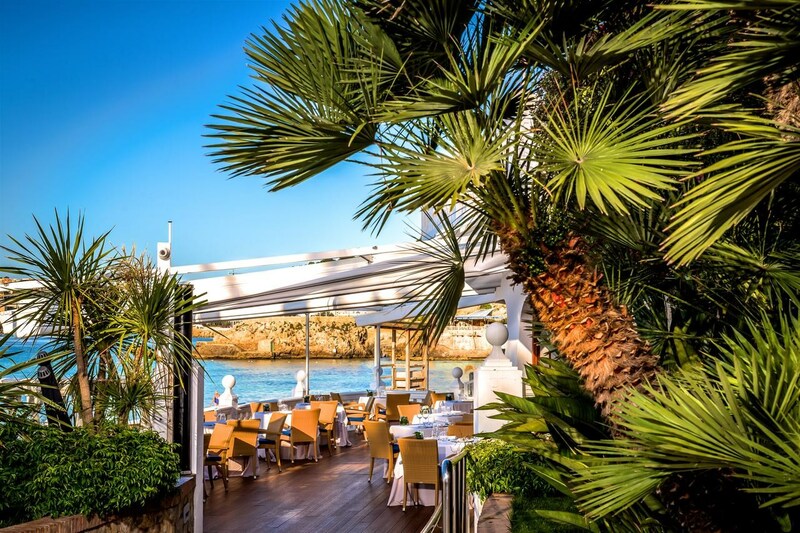 Restaurants available during high season are the restaurant A Popa with fish and seafood speciality within a recreation of the stern of a boat with a sea view (April to October) and the Bristro (April to October). Furthermore, the hotel offers a lobby bar and a piano bar. 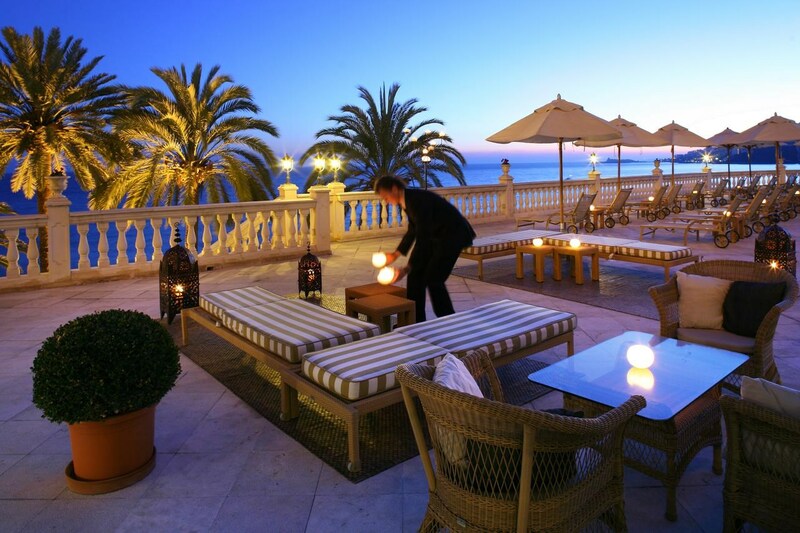 With views of the sea and direct access to the beach, the Nixe Palace Hotel amenities are incomparable. The hotels splendid design boasts a superb setting, with outdoor swimming pools (one for adults and one for children) surrounded by a magnificent solarium. 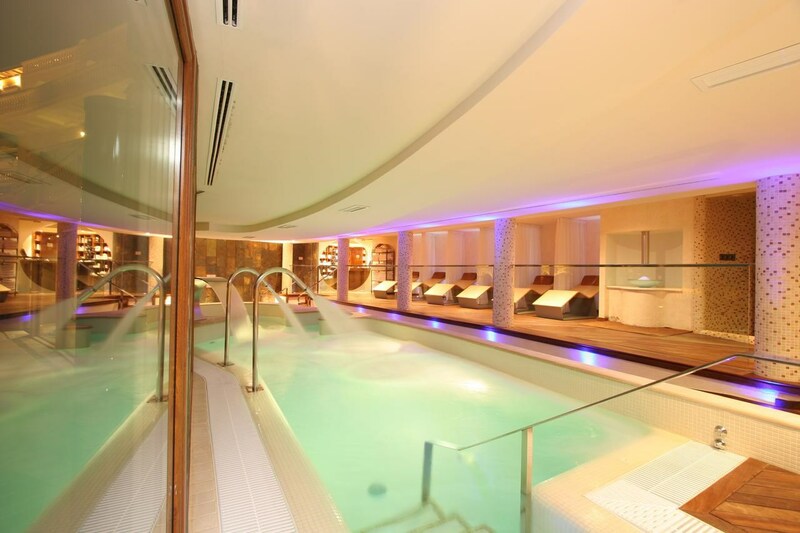 The indoor heated swimming pool and Jacuzzi are just two of the enticing facilities to ease tension and find complete relaxation and enjoyment. Modern amenities and equipment for guests who wish to exercise in a beautiful and natural setting. The gymnasium has the latest and most sophisticated work-out machines. The Nixe Palace Hotel offers the Ecologic Spa with all kind of natural treatments, therapies and a thermal circuit with a breathtaking view to take care of our body and mind and the added value of professional masseurs, spa massages, Jacuzzi, Turkish bath, relax area with heated sun beds, aromatherapy showers, etc. The specialized department will arrange everything guests need to make the most of their golfing days in Majorca. 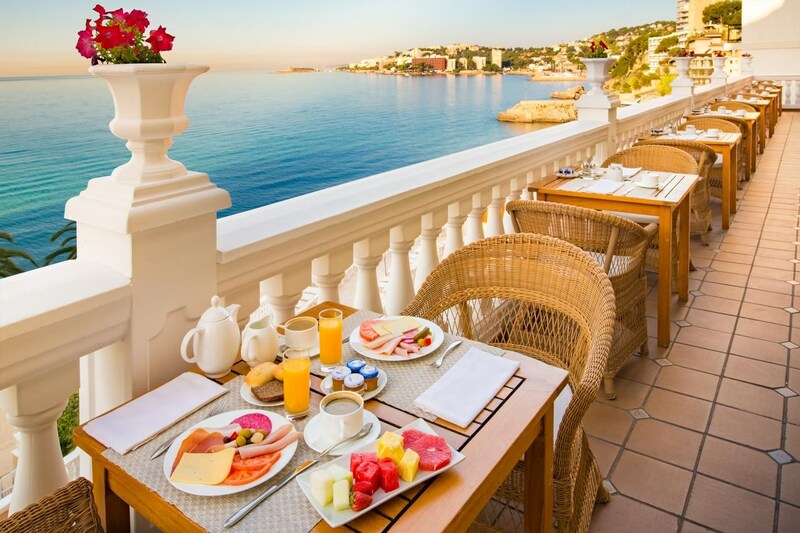 The hotel is equipped with WIFI access throughout all public areas, bedrooms, terraces, and even on the beach. Laundry and ironing service, dry cleaning, 24-hour room service, private hotel parking, hotel parking for events, business centre, medical service and concierge are also available. Ian Woosnam said Son Gual Golf reminded him of Augusta, and this championship course in Mallorca is certainly one of Europe’s finest. An easy drive from Palma, it’s a popular venue for private tournaments. Son Vida is the oldest of the Arabella Golf Mallorca courses, on the prestigious Son Vida estate, overlooking Palma de Mallorca. It was the first course to open on Mallorca, but was redesigned in 2001 to make it more challenging. Son Muntaner is one of the excellent Arabella Golf Mallorca courses on the prestigious Son Vida estate, overlooking Palma de Mallorca. Chelsea Football Club players came here for a round of golf during their 2011 visit to the island. Son Quint is the newest of the excellent Arabella Golf Mallorca courses, located on the prestigious Son Vida estate, overlooking Palma de Mallorca. As well as the 18-hole course, there’s the 9-hole Executive Course. Experienced golfers should enjoy this spectacular 18-hole course with its stunning views, and challenging bunkers and long drives. A favourite of golfing celebrities, it s a beautiful course in Mallorca’s southwest, with the longest hole in Spain. It has an excellent Golf Academy, wonderful seaviews and a great restaurant. The 18-hole Real Golf de Bendinat is one of several excellent golf courses located in the southwest of Mallorca. The varied course is one of the island’s shorter ones and many of its holes are dog legs. This mature 18-hole course enjoys a delightful country location, surrounded by the Llevant hills. Keen golfers should enjoy the tight tee shots, long open fairways and challenging wide greens. The Roca Viva restaurant can be hired for private events. With two 18-hole courses and a 9-hole course, Santa Ponsa is not surprisingly a popular place for golfers to own property. Only one course is open to the public, and it has one of Europe’s longest holes.